The QSC K8.2 represents the second generation of QSC K Series - highly regarded around the world in the front of house, mobile DJ,.. 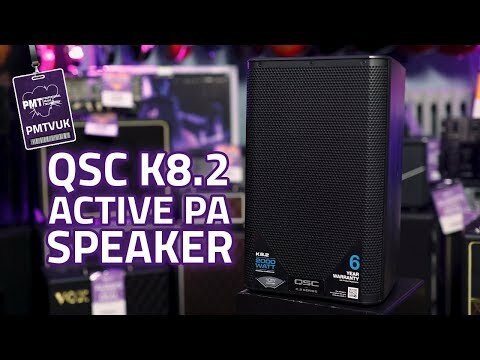 The QSC K8.2 represents the second generation of QSC K Series - highly regarded around the world in the front of house, mobile DJ, corporate and live music arenas as one of the best compact loudspeakers available. A travel-friendly 8" woofer make the K8 v2 perfect for smaller stage monitoring and intimate outdoor performances. What do you do after you've given the performance of a lifetime? You deliver an encore, of course. The QSC K.2 Series is quite simply, the next standard in powered loudspeakers. To start, each model is equipped with a 2000-watt Class D power module carefully matched to high-performance woofers and compression drivers. DMT (Directivity-Matched Transition) ensures smooth coverage across the entire listening area. Advanced on-board DSP provides Intrinsic Correction voicing and advanced system management to further optimize performance. Rugged, light-weight and incredibly stylish, the QSC K8.2 also features a global 6-Year Warranty after product registration. 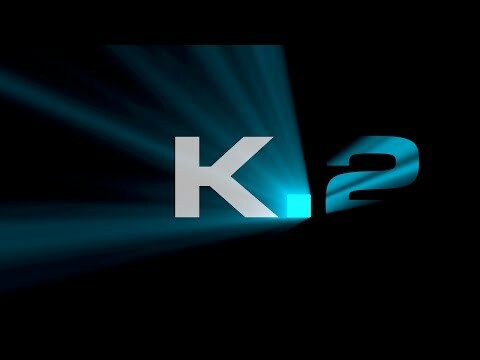 The K2 Series' 2000 Watt power module delivers ample burst and continuous power for the loudspeaker’s premium drivers. It has been designed with very low-noise fan cooling, enabling the enclosures to be used in settings where background noise must be kept to a minimum. Carefully tailored, subtle and sophisticated dynamics processing is used to protect the drivers from damage and the performance from distortion. QSC's patented DMT Technology matches the coverage angle of the woofer at the cross-over frequency with the horn pattern. This guarantees uniform response across the coverage area and a better listening experience for the entire room. Intrinsic Correction techniques are also employed ensuring smooth power response from the loudspeaker. The result is an extremely accurate loudspeaker that behaves well in a wide range of acoustic spaces with little or no equalization. With the QSC K2 Series, you can now select from an extensive list of factory preset EQ contours including Live, Dance, Monitor, and many more. Instantly recall and save your custom presets at any time using the built-in digital display. The QSC K8.2 features a pair of balanced combo XLR/F plus 1/4-inch TRS connectors with independent gain control are provided. The first is equipped with selectable MIC/LINE (Microphone or Line) level input while the second offers selectable HI-Z/LINE (High Impedance or Line) level input, specifically for musical instruments. Both inputs are connected directly to a pair of XLR/M throughput connectors so that the signals may be “daisy-chained” to another audio device. A 3.5 mm TRS input jack with independent gain control is also provided for connection of sources such as smart phones, computers, and MP3 players. In addition to the two throughput XLRs, a line-level output with the mixed signal from all inputs is also provided. Operated as either main PA or as a floor monitor, each model can also be flown, wall- or truss-mounted, or placed on a speaker pole, either straight-firing or with 7.5-degree down-tilt.